Professor Taylor graduated from Cambridge University in 1976. After a brief period in industry, he returned to Cambridge as a research assistant working with the geotechnical centrifuge both to develop the facility and conduct research on buried pipes. His doctoral research focussed on the study of time dependent processes associated with tunnelling and trenching. 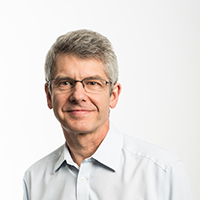 Professor Taylor joined City University in 1984 as a lecturer responsible for establishing physical modelling research. He established the geotechnical centrifuge facility at City University and has initiated and supervised a wide range of projects utilising centrifuge modelling to address geotechnical problems related to infrastructure development. His research interests have concentrated on underground construction with specialisation in the analysis of ground movements associated with underground excavation. A key aspect of such research involves the detailed measurement of widespread ground movements caused by tunnel and basement excavations. In collaboration with the Engineering Surveying Group then at City University, he developed a system for using the analysis of digital images to determine accurate and detailed patterns of ground movement enabling centrifuge studies to focus on pre-failure ground movements. In 1996 he was awarded the Personal Chair of Geotechnical Engineering. Professor Taylor is recognised internationally as an expert on geotechnical centrifuge modelling. He has produced the only textbook on geotechnical centrifuge modelling, which is widely used by other research groups. He has given many lectures and presentations at geotechnical engineering symposia around the world and has served on a number of national and international committees, mainly involving centrifuge modelling and underground construction. In the UK, he has consulted on many projects and has been an Associate of Geotechnical Consulting Group since 1990. He has been a member of the Géotechnique Advisory Panel and the British Geotechnical Society Committee and currently serves on the EPRSC College. He has served on International Technical Committees for Centrifuge Testing and Underground Construction in Soft Ground. In 1999 he became Secretary General of the International Society for Soil Mechanics and Geotechnical Engineering. A key aspect of infrastructure development involves controlling ground movements caused by new construction and ensuring that inevitable movements have minimal impact on existing infrastructure and services. Geotechnical centrifuge modelling allows novel and complex geotechnical events to be investigated within a well-controlled and repeatable environment in the laboratory. Our centrifuge facility is deliberately user-friendly facilitating doctoral and post-doctoral projects of direct interest and relevance to industry. I have initiated and supervised a wide range of projects on tunnel excavations and have considerable experience in the development and control of ground movements due to tunnelling. et al., (1996). Geotechnical Aspects of Underground Construction in Soft Ground. Mair, R.J., and Taylor, R.N., (Eds. ), Balkema. et al., (1995). Geotechnical Centrifuge Technology. Taylor, R.N., (Ed. ), Blackie Academic and Professional. Taylor, R.N. and Mair, R.J., (2001). Elizabeth House: settlement predictions. In J.B. Burland, , J.R. Standing, and F.M. Jardine, (Eds. ), Building response to tunnelling – Case studies from construction of the Jubilee Line Extension (pp. 195–215). LONDON ISBN 0-7277-3017-7. Taylor, R.N. and Mair, R.J., (2001). Settlement predictions for Neptune, Murdoch and Clegg Houses and adjacent masonry walls. In J.B. Burland, , J.R. Standing, and F.M. Jardine, (Eds. ), Building response to tunnelling – Case studies from construction of the Jubilee Line Extension (pp. 217–228). LONDON ISBN 0-7277-3017-7. Taylor, R.N. (1995). Centrifuges in modelling: principles and scale effects. In R.N. Taylor, (Ed. ), Geotechnical Centrifuge Technology (pp. 19–33). Blackie Academic and Professional. Taylor, R.N. (1995). Buried structures and underground excavations. In R.N. Taylor, (Ed. ), Geotechnical Centrifuge Technology (pp. 93–117). Blackie Academic and Professional. Taylor, R.N., Osborne, J.J, , Atkinson, J.H, and Coop M.R., (1991). Jack-up Unit soil structure interaction - A review of present design practice. In Boswell, L.F., and D'Mello, C, (Eds. ), Recent Developments in Jack-Up Platforms (pp. 451–471). Blackwell Science Publishers. Taylor, R.N. (1987). Modelling in Ground Engineering. In F.G. Bell., (Ed. ), The Geotechnical Engineer's Reference Book Butterworths. Le, B.T., Divall, S. and Taylor, R.N. (2015). The effect of a forepole umbrella system on the stability of a tunnel face in clay. Divall, S., Goodey, R.J. and Taylor, R.N. (2014). The influence of a time delay between sequential tunnel constructions. 8th International Conference on Physical Modelling in Geotechnics 14-17 January, Perth, WA; Australia. Divall, S., Goodey, R.J. and Taylor, R.N. (2014). The influence of a time delay between sequential tunnel constructions. Physical Modelling in Geotechnics ICPMG2014 14-17 January, Perth, Western Australia. Arshi, H.S., Stone, K.J.L., Vaziri, M., Newson, T.A., El-Marassi, M., Taylor, R.N. … Goodey, R.J. (2013). Modelling of monopile-footing foundation system for offshore structures in cohesionless soils. Stone, K.J.L., Newson, T.A., El Marassi, M., El Naggar, H., Taylor, R.N. and Goodey, R.J. (2011). An investigation of the use of a bearing plate to enhance the lateral capacity of monopile foundations. Taylor, R.N. and Rose, A.V., (2010). Modelling the Performance of Micropiles at Close Spacing. 10th International Workshop on Micropiles 22-25 September, Washington, DC. Taylor, R.N., Caporaletti, P., , Burghignoli, A., and Scarpelli, G., (2008). Assessment of tunnel stability in layered ground. 6th International Symposium on Geotechnical Aspects of Underground Construction in Soft Ground Shanghai, China. Caporaletti, P, , Burghignoli, A., and Taylor, R.N. (2005). Centrifuge Study of Tunnel Movements and their Interaction with Structures. 4th International Symposium on Geotechnical Aspects of Underground Construction in Soft Ground Amsterdam, The Netherlands. Taylor, R.N., Caporaletti, P, and Scarpelli, G., (2002). Bearing capacity of screwed conical piles in sand: centrifuge modelling. St John’s Canada. Taylor, R.N. and Klotz, U., (2002). Modelling the behaviour of driven piles in sand. St John’s Canada. Taylor, R.N. and K.J.L. Stone, (2002). Modelling of fractured rock masses. St John’s Canada. Taylor, R.N. and Yip, D.L.F., (2003). Centrifuge Modelling of the Effect of a Structure on Tunnel Induced Ground Movements. Response of buildings to excavation-induced ground movements 17 Jul 2001 – 18 Jul 2001, London CIRIA SP199. Taylor, R.N. and Spiessl, S.M, (2000). 2D Centrifuge modelling of DNAPL infiltration in homogeneous saturated soils. Int. Symp. On Physical Modelling and Testing in Environmental Geotechnics 15-17 May, La Balle, France. Grant, R.J. and Taylor, R.N. (2000). Evaluating plasticity solutions for the response of clay around tunnels. Taylor, R.N. and Grant, R.J., (2000). Stability of tunnels in clay with overlying layers of coarse grained soil. Melbourne, Australia. Taylor, R.N. (2001). Centrifuge modelling of underground excavations. 1999, Seoul, Korea. Grant, R.J., Stallebrass, S.E. and Taylor, R.N. (1999). Modelling soil deformation at a tunnel heading using physical and numerical techniques. Taylor, R.N. and Grant, R.J., (1999). Evaluating plasticity solutions for the response of clay around tunnels. Taylor, R.N. and Calvello, M, (1999). Centrifuge modelling of a spile-reinforced tunnel heading. Taylor, R.N. (1999). Modelling and prediction. Stallebrass, S., Grant, R.J., and Taylor, R.N., (1999). Modelling soil deformation at a tunnel heading using physical and numerical techniques. Amsterdam. Taylor, R.N., Grant, R.J., Robson, S. and Kuwano, J. (1998). An image analysis system for determining plane and 3-D displacements in soil models. September, Tokyo. Kuwano, J., Taylor, R.N. and Grant, R.J. (1998). Modelling of deformations around tunnels in clay reinforced by soil nails. September, Tokyo. Taylor, R.N. and Grant, R.J. (1998). Centrifuge modelling of the influence of surface structures on tunnelling induced ground movements. Robson, S., Cooper, M.A.R. and Taylor, R.N. (1998). A digital imaging system for determining 3D surface displacement in geotechnical centrifuge models. Oxford. Taylor, R.N. (1997). Centrifuge modelling of tunnel behaviour. Rio de Janeiro. Taylor, R.N. and Mair, R.J., (1997). Bored tunnelling in the Urban environment. State-or-the-Art-Report, Plenary Session 4. Taylor, R.N., Hagiwara, T, and Grant, R.J., (1997). Centrifuge modelling of the effect of overlying strata on the ground movements induced by tunnelling in clay. Taylor, R.N., Hagiwara, T., and Grant, R.J., (1997). Centrifuge modelling of ground movements due to tunnelling in layered ground. Japan National Conference on Soil Mechanics and Foundation Engineering. Japan. Taylor, R.N., Kuwano, J., and Grant, R.J., (1997). Soil nailing and its effect on tunnelling induced ground movements. Japan National Conference on Soil Mechanics and Foundation Engineering JAPAN. Taylor, R.N., Kuwano, J., and Grant, R.J., (1997). Centrifuge study on stability around tunnels in clay reinforced by soil nails. Bangkok, Thailand. Stallebrass, S., Grant, R.J., and Taylor, R.N., (1997). A finite element study of ground movements measured in centrifuge model tests of tunnels. London, England. Stallebrass, S., Grant, R.J., and Taylor, R.N., (1997). Prediction of pre-failure ground movements: Physical and numerical techniques. Hamburg. Grant, R.J. and Taylor, R.N. (1996). Centrifuge modelling of ground movements due to tunnelling in layered ground. London, England. Taylor, R.N., Bracegirdle, A, , Mair, R.J, and Nyren, R.J., (1996). A methodology for evaluating potential damage to cast iron pipes induced by tunnelling. London, England. Taylor, R.N., Mair, R.J, and Burland, J.B, (1996). Prediction of ground movements and assessment of risk of building damage due to bored tunnelling. London. Taylor, R.N., Clarke, T.A., , Robson, S, , Qu, D.N, , Wang, X, and Cooper, M.A.R., (1995). The sequential tracking of targets in a remote experimental environment. From Pixels to Processes. Stockholm. Taylor, R.N., Coop, M.R, and Atkinson, J.H, (1995). Strength, yielding and stiffness of structured and unstructured soils. Copenhagen. ATKINSON, J. and TAYLOR, R. (1994). MOISTURE MIGRATION AND STABILITY OF IRON ORE CONCENTRATE CARGOES. September, Singapore. Taylor, R.N. and Kawasaki, K., (1994). Earth pressure change during rotational failure of retaining wall. September, Singapore. MORRISON, P.R.J. and TAYLOR, R.N. (1994). FOUNDATIONS IN A RISING GROUNDWATER ENVIRONMENT. STALLEBRASS, S., JOVICIC, V. and TAYLOR, R. (1994). SHORT-TERM AND LONG-TERM SETTLEMENTS AROUND A TUNNEL IN STIFF CLAY. Manchester. MORRISON, P. and TAYLOR, R. (1994). MODELING OF FOUNDATIONS IN A RISING GROUNDWATER ENVIRONMENT. January, New Delhi. TAYLOR, R. (1995). Tunnelling in soft ground in the UK. Jan 1994, New Delhi. Stallebrass, S., Jovicic, V., and Taylor, R.N., (1994). The influence of recent stress history on ground movements around tunnels. Hokkaido. Taylor, R.N. and Kawasaki, K., (1993). Earth pressure change in the case of rotational failure of retaining wall. Japan. Taylor, R.N. and O'Connor, K., (1993). The swelling behaviour of compacted clayey backfill. Taylor, R.N. and Coop, M.R., (1993). Stress path testing of Boom clay from Mol, Belgium. Weak Rocks. Conference of the British Geological Society Leeds. Taylor, R.N. and Mair, R.J., (1993). Predictions of clay behaviour around tunnels using plasticity solutions. Oxford. Fioravante, V. and Taylor, R.N. (1991). Centrifuge modelling of embankment construction on soft clay foundations. Taylor, R.N., Neerdael, B., , De Bruyn, D, and Mair, R.J., (1991). The HADES project at Mol: Geomechanical behaviour of Boom clay. Braunschweig, Germany. Taylor, R.N., Stone, K.J.L., and Hensley, P.J., (1991). A centrifuge study of rectangular box culverts. Centrifuge '91 Boulder, Colorado, USA. Taylor, R.N. and De Moor, E.K., (1991). Time dependent behaviour of a tunnel heading in clay. Cairns, Queensland. Taylor, R.N. and De Moor, E.K., (1991). Ground response to construction of a sewer tunnel in very soft ground. London:IMM. Taylor, R.N. and Fioravante, V., (1991). Centrifuge modelling of embankment construction on soft clay foundations. Florence. Taylor, R.N. and De Moor, E.K., (1989). Model studies of the behaviour of deep tunnels in clay. Rio, Brazil. Taylor, R.N., Mair, R.J., , Higgins, K.G., and Potts, D.M., (1988). Preliminary analysis of construction of the test drift in Boom clay at Mol using plasticity solutions and finite elements. Brussels. Taylor, R.N. and Schofield, A.N., (1988). Development of standard geotechnical centrifuge operations. Paris, France. Taylor, R.N. (1987). Effective stress path testing of soil. Kyoto. Taylor, R.N., Mair, R.J., , Phillips, R, and Schofield, A.N., (1984). Applications of centrifuge modelling to the design of tunnels and excavations in clay. Taylor, R.N. and Rose, A.V., Modelling the performance of linear minipile groups. Zurich. Le, B.T. and Taylor, R.N. A study on the reinforcing capabilities of Forepoling Umbrella System in urban tunnelling. 3rd European Conference on Physical Modelling in Geotechnics, IFSTTAR, Nantes, France,. Le, B.T. and Taylor, R.N. (2018). Ground response to tunnelling incorporating a soil reinforcement system. Canadian Geotechnical Journal. doi:10.1139/cgj-2018-0075 . Le, B.T. and Taylor, R.N. (2018). Response of clay soil to three-dimensional tunnelling simulation in centrifuge models. Soils and Foundations, 58(4), pp. 808–818. doi:10.1016/j.sandf.2018.03.008 . Divall, S., Xu, M. and Neil Taylor, R. (2016). Centrifuge modelling of tunnelling with forepoling. International Journal of Physical Modelling in Geotechnics, 16(2), pp. 83–95. doi:10.1680/jphmg.15.00019 . Taylor, R.N., Rose, A.V. and Gorasia, R.J. (2013). Pile and Pile Group Capacity: Some Findings from Centrifuge Tests. International Journal of Geo-Engineering, 5(2), pp. 5–15. Rose, A.V., Taylor, R.N. and El Naggar, M.H. (2013). Numerical modelling of perimeter pile groups in clay. Canadian Geotechnical Journal, 50(3), pp. 250–258. Sentenac, P., Lynch, R.J., Bolton, M.D. and Taylor, R.N. (2007). Alcohol's effect on the hydraulic conductivity of consolidated clay. ENVIRONMENTAL GEOLOGY, 52(8), pp. 1595–1600. doi:10.1007/s00254-006-0603-8 . Taylor, R.N., Sentenac, P, , Bolton, M.D., and Lynch, R.J., (2007). Butanol effect on consolidated clay. International Journal of Physical Modelling in Geotechnics, 6(4), pp. 19–27. Taylor, R.N. and Bilotta, E., (2005). Centrifuge modelling of tunnelling close to a diaphragm wall. Jour. Physical Modelling in Geotechnics, 5(1), pp. 27–41. Taylor, R.N., Oung, O., , Bezuijen, A, , Westrate, F, , Haza, E, , Favraud, C, … Allersma, H., (2005). Investigations of a European network of geotechnical centrifuges on multiphase flow. Jour. Physical Modelling in Geotechnics, 5(1), pp. 1–14. Taylor, R.N. and Klotz, E.U., (2001). Development of a new pile driving actuator and a fully instrumented model pile for use in the centrifuge. International Journal of Physical Modelling in Geotechnics, 1(3), pp. 1–16. Grant, R.J. and Taylor, R.N. (2000). Tunnelling-induced ground movements in clay. PROCEEDINGS OF THE INSTITUTION OF CIVIL ENGINEERS-GEOTECHNICAL ENGINEERING, 143(1), pp. 43–55. doi:10.1680/geng.2000.143.1.43 . Hagiwara, T., , Grant, R.J, , Calvello, M., and Taylor, R.N. (1999). The effect of overlying strata on the distribution of ground movements induced by tunnelling in clay. Soils and Foundations, 39(3), pp. 63–74. Taylor, R.N. (1998). Modelling of Tunnel behaviour. Journal of Geotechnical Engineering, 131(3), pp. 127–132. Taylor, R.N., Tei, K, and Milligan, G.W.E., (1998). Centrifuge model tests of nailed soil slopes. Soils and Foundations, 38(2), pp. 165–177. Grant, R.J. and Taylor, R.N. (1996). Modelling of ground movements due to tunnelling in layered ground. GROUND ENGINEERING, 29(1), pp. 29–29. Taylor, R.N., Chen. J, , Robson. S, and Cooper M.A.R, (1996). An evaluation of three different image capture methods for measurement and analysis of deformation within a geotechnical centrifuge. Int. Archives of Photogrammetry and Remote Sensing, XXXI(B5), pp. 70–75. HARRIS, D.I., MAIR, R.J., LOVE, J.P., TAYLOR, R.N. and HENDERSON, T.O. (1994). OBSERVATIONS OF GROUND AND STRUCTURE MOVEMENTS FOR COMPENSATION GROUTING DURING TUNNEL CONSTRUCTION AT WATERLOO STATION. GEOTECHNIQUE, 44(4), pp. 691–713. doi:10.1680/geot.1994.44.4.691 . MAIR, R.J., TAYLOR, R.N. and BRACEGIRDLE, A. (1993). SUBSURFACE SETTLEMENT PROFILES ABOVE TUNNELS IN CLAYS. GEOTECHNIQUE, 43(2), pp. 315–320. doi:10.1680/geot.1993.43.2.315 . Taylor, R.N. (1993). Review of: "Underground structures: design and construction" by R.S. Sinha. Geotechnique, 43(1), p. 189. Taylor, R.N., Mair, R.J., and Clarke, B.G., (1992). Repository tunnel construction in deep clay formations. CEC Report EUR 13964 p. 120. Taylor, R.N. (1991). Deformations of soils and displacements of structures. An overview of the Tenth European Conference on Soil Mechanics and Foundation Engineering. Ground Engineering pp. 35–36. TAYLOR, R.N., TAN, T.S. and SCOTT, R.F. (1987). CENTRIFUGE SCALING CONSIDERATIONS FOR FLUID PARTICLE-SYSTEMS - DISCUSSION. GEOTECHNIQUE, 37(1), pp. 131–133. Taylor, R.N., Trott, J.J., and Symons, I.F., (1984). Loading tests to compare the behaviour of full scale and model buried steel pipes. Ground Engineering, 17(6), pp. 17–28. Taylor, R.N. (1984). Application of centrifuge modelling to practical problems. (A report of the British Geotechnical Society's informal discussion held at the Institution of Civil Engineers). Ground Engineering, 17(6), pp. 7–8. Taylor, R.N. and O'Connor, K, The swelling pressure of compacted clayey fill..